Submissions for Class of 2018 will be accepted through March 30. 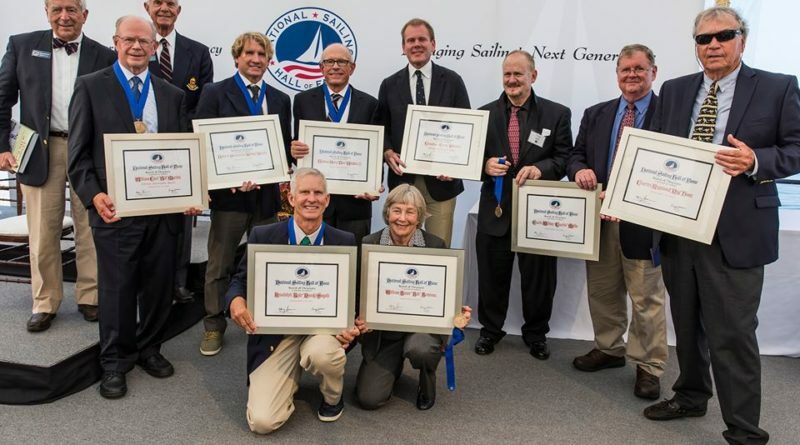 NATIONWIDE — The next batch of sailors worthy of being inducted into the National Sailing Hall of Fame must be nominated within the next few weeks. The submission period for Hall of Fame entries is currently active and will remain open until midnight, Pacific Time, March 30. Names already adorning the National Sailing Hall of Fame include Betsy Alison (2011), Hobie Alter (2011), William Ficker (2016), Gary Jobson (2011), Buddy Melges (2011) and Ted Turner (2011). Candidates must be a U.S. Citizen and at least 45 years of age or be deceased for five or more years. Selected inductees would be entered into the Hall as one of three categories: contributor, sailing or technical. The “Technical” category, according to the National Sailing Hall of Fame, “recognizes those who have significantly contributed to the technical aspects of sailing” and is open to boat builders, designers and sailmakers. Eligible inductees for the Contributor category are teachers, coaches, administrators, media (including authored works, TV, film, etc. ), artists, musicians, promoters and organizers. Hall of Fame staff stated the process “is neither a popularity contest nor a lottery.” Nominations received after the March 30 deadline will be considered for the 2019 class. U.S. Sailing’s Olympic Sailing Committee, in a separate announcement, had been soliciting nominations for 2017 Coach of the Year awards. American sailing coaches will be recognized in five categories for work they’ve done at youth, national and international levels. The nomination period closed Jan. 20; nominees and winners will be announced later this year. Nominations were specifically accepted for the following categories: national coach of the year; volunteer coach of the year; development coach of the year; paralympic coach of the year; and, an award for the coach who best used scientific techniques and equipment in his or her methods.